Buy more and save up to 35% off the base price! 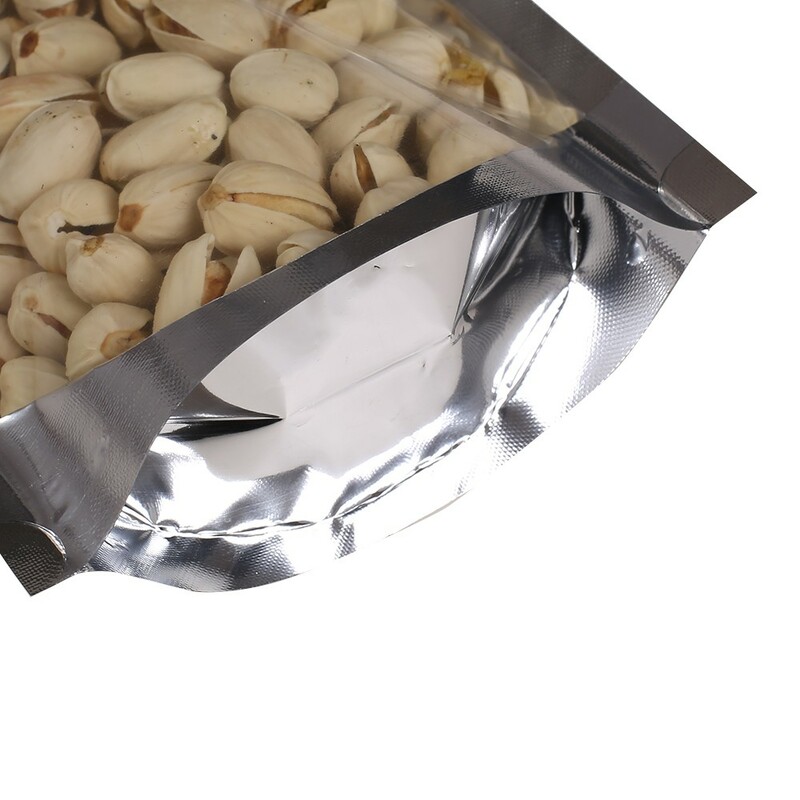 The Clear/Silver Foil Stand Up Bag allows for the display of your products without completely compromising the light-weight durability of the bags. 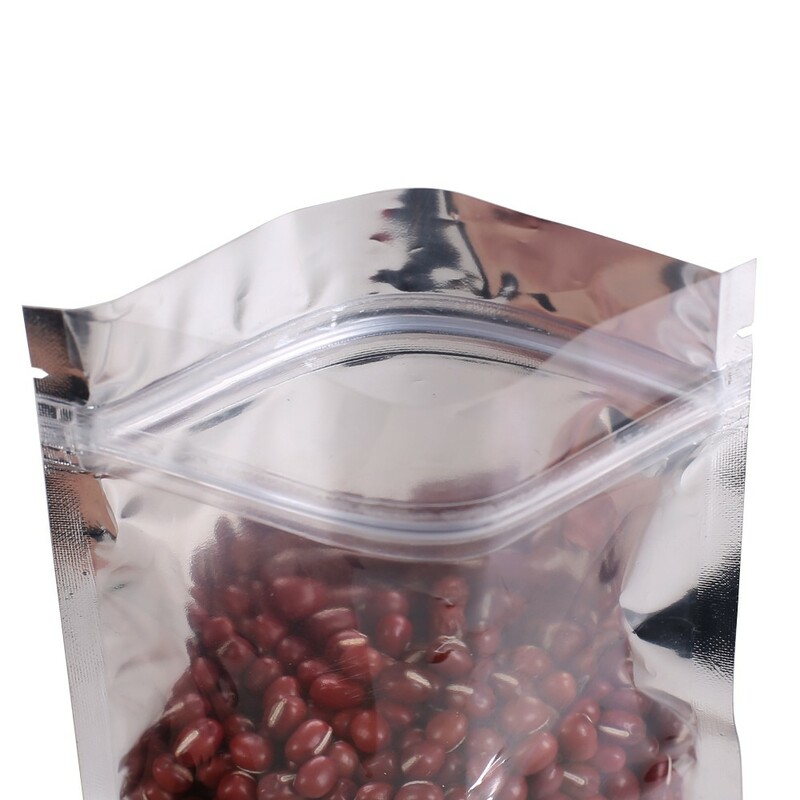 These bags can be sealed above the tear notches with a heat sealer for secured shipment of objects or with the built-in interlocking zip system for everyday usage. 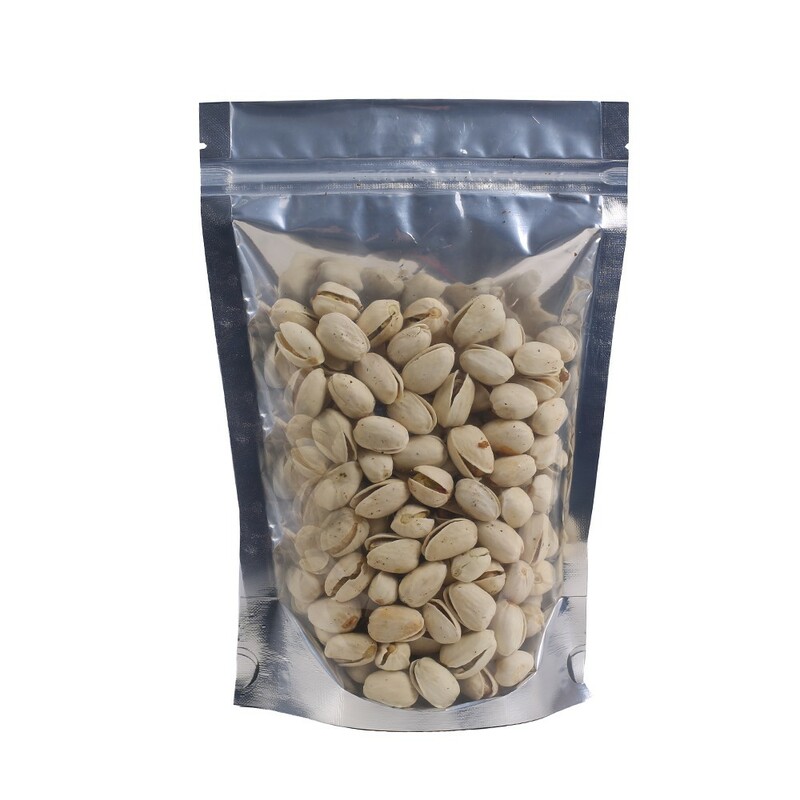 The bags are coated with a thin sheet of foil, granting UV protection and rendering the bags oxygen and vapor impermeable. The round-bottom gusset opens up when the bag is filled, allowing it to stand on its own. 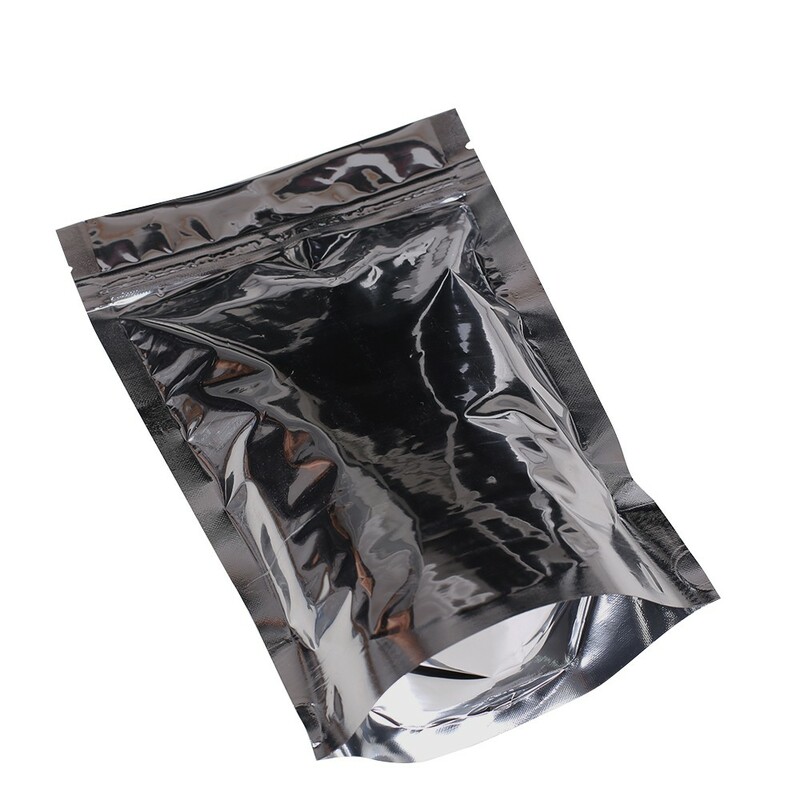 NOT RECOMMENDED FOR LIQUIDS, PLEASE TAKE A LOOK AT OUR HEAVY DUTY FOIL BAGS FOR LIQUID STORAGE. These are 100 bags per pack, which is equivalent to 500 bags per lot.